This is my tribute to meatloaf! One of America’s classic comfort foods and one of my all time favorites 🙂 How awesome that we’re servin it up in a muffin tin!! As an extra special treat I am giving you several different recipes to choose from today. 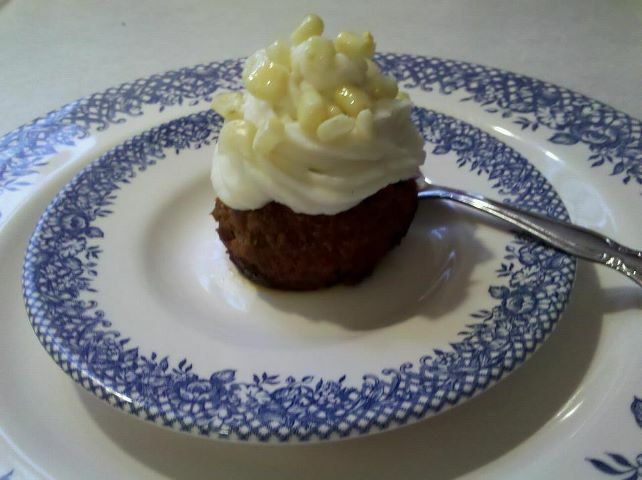 For the kid in all of us I present for your viewing pleasure… meatloaf cupcake style with mashed potato frosting and corn sprinkles 🙂 This one is from my very own kitchen and here’s what ya do…Take 1 lb. 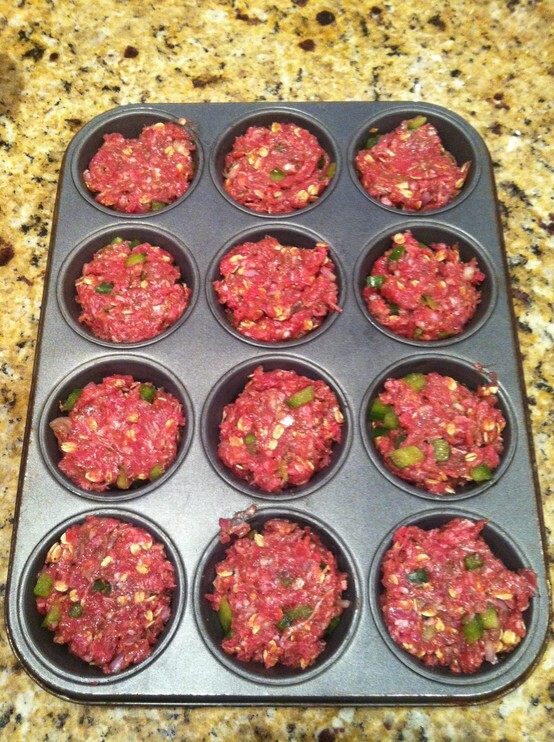 extra-lean ground beef, 1 cup of plain or seasoned bread crumbs (it’s up to you), 1 tsp. garlic powder, salt & pepper to taste, 1 Tbs. brown sugar, 1/4 of a medium onion diced, 1 egg, 1/2 cup ketchup. Really the recipe is up to you just stick with around a pound of meat. Use your favorite or your old standby mix it up a bit 😉 I eyeball it a lot so hopefully the measurements above are close, lol! Preheat oven to 375 degrees and then mix all ingredients in a large bowl. Once mixed divide into 12 muffin cups sprayed with cooking spray. *I find that dividing the meat in half and working it into a long log and then squeezing off 6 small balls and repeating the process works well for dividing the meat into the muffin tin. * Bake for 20 minutes and then check with a meat thermometer to make sure the internal temp. reaches 160 degrees, bake longer if needed but keep an eye on them and remember dark pans cook faster! That’s the meatloaf recipe, you’re on your own for the mashed potatoes and corn folks but you can serve what ever side dish you like or frost with potatoes and sprinkle with corn as pictured. If you do that I suggest you start peeling your potatoes ahead of time and get them going because the meatloaves don’t take long to cook once they’re in 🙂 It’s all about time management, lol! Oh and FYI I used a cookie press to Ice the “cupcakes” because the potatoes will be hot so take that into account when frosting you may want to just dollop if you don’t have a press handy. Alright now onto some other recipes for you all to enjoy. One thing I want to point out about the muffin tin first though is the delightful size of each little cup. If you were around for my very first post in this blog… all of 3 days ago 😉 I mentioned the size of each cup being 3 and 1/2 ounces which happens to also be the perfect serving size and great for portion control! So for all of us out there trying to keep our girlish figure this ones for you! 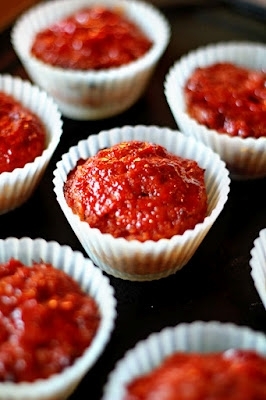 This recipe comes to us from EatingWell via Pinterest, of course, where else? 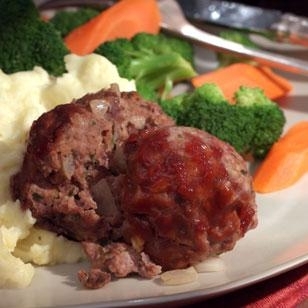 So most of us know that traditional meatloaf is made with ground beef, pork and veal in this version they replace the veal with ground turkey for a leaner version of the classic. Here’s a picture. Click the link above for the recipe. Muffin Top Mommy you are a woman near and dear to my heart, lol! I’m happy to be inspiring you this morning 😀 Let me know how they turn out!! Bon Appetit! Who is not going to love meatloaf when it is prepared like this. What a great idea – I love it! I haven’t made meatloaf in ages. I’m making these tonight! My friend made last week and added 1/6 of a cheese stick, YUM! I will be doing the same.